Show your love of maple syrup to the world! 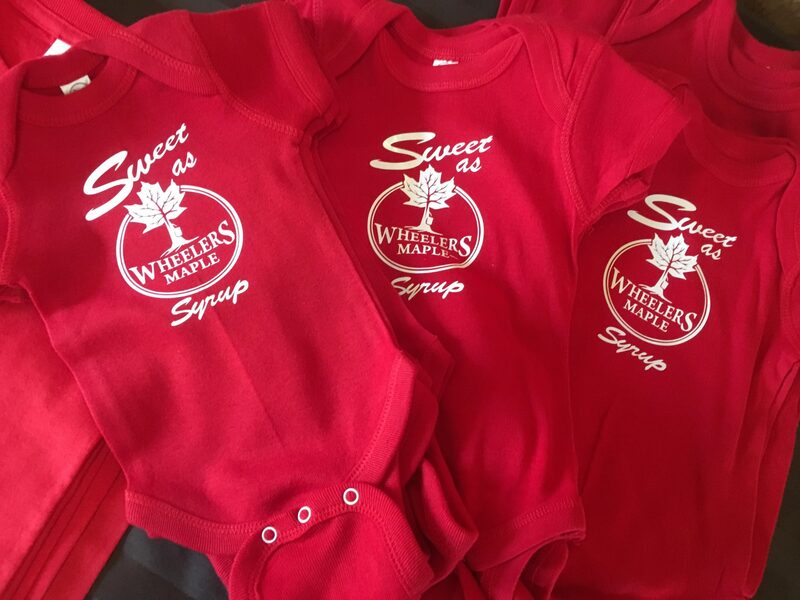 Wheelers red onesie. 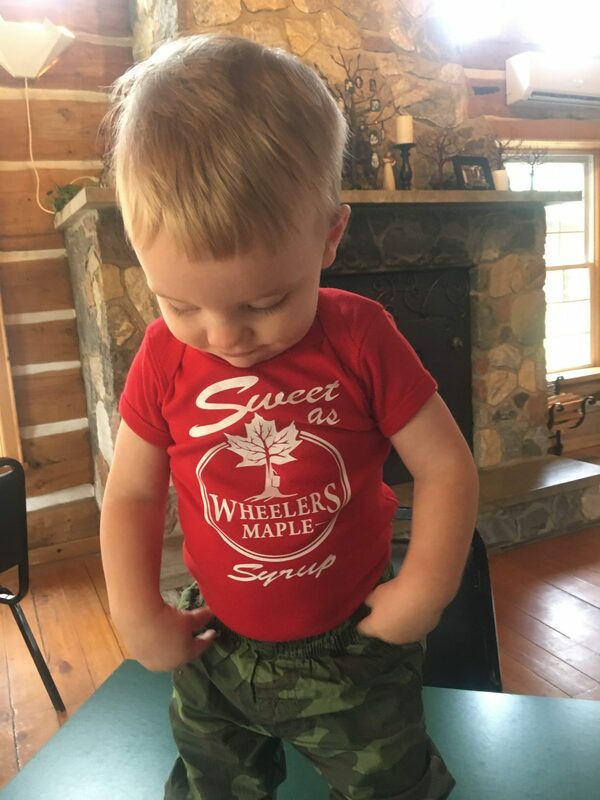 On the front reads “Sweet as Wheelers Maple Syrup”. On the bum is a Canada Flag. 100% ringspun cotton. Reinforced 3 snap closure. Designed, printed, and pressed by Tracy Wheeler in McDonalds Corners. *For shipping JUST clothing, please email [email protected] to get more accurate shipping cost. In the email include what clothing and sizes you would like and a shipping quote will be emailed.